Just wanted to post another update for you all! We’ve now hit over 1700% of our goal and over $250k of funding. This is incredible, and is frankly a lot more than we expected. But then again, we didn’t know what to expect. We never would have imagined such an amazing response to our new product, and we are so excited for when you’ll finally get to use it for yourselves! 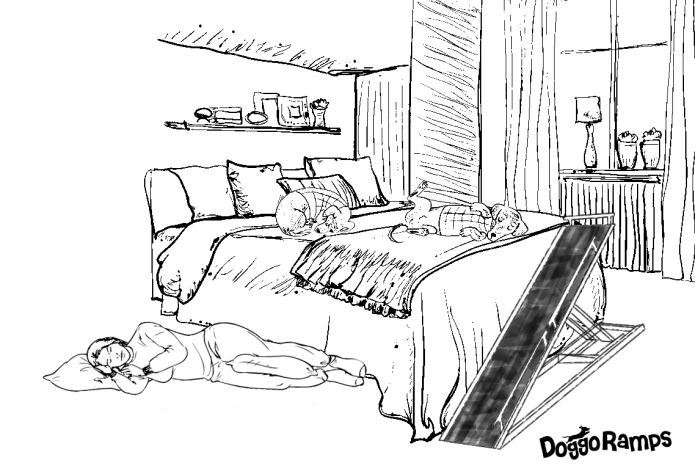 We can’t wait to see all the happy pups zipping up and down their beds! And BTW, if they decide to take over the bed and make you sleep on the floor, we had a disclaimer about that.. sooo.. don't say we didn't warn you ? We will share updates and photos of the ramps development whenever we can and always be transparent in this process. We truly appreciate your support as we go through, and very much look forward to getting these ramps in your hands and many others out there, so everyone can enjoy more cuddles with your pups, but without the worry!